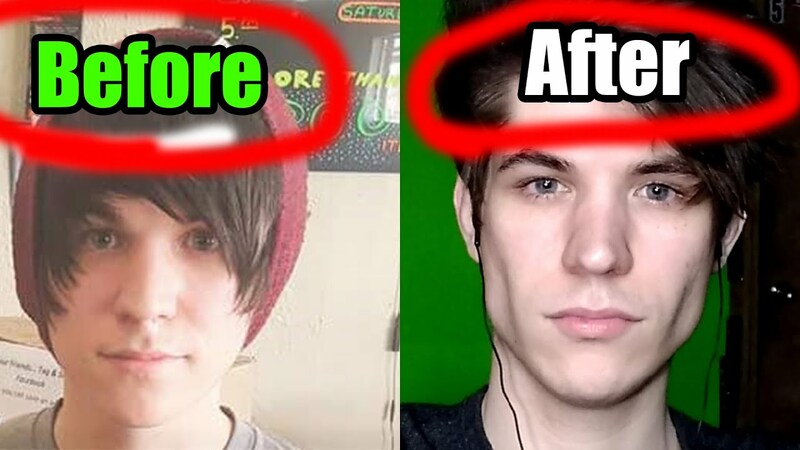 If you spend a considerable amount of time on YouTube, you may have noticed a new species of video: YouTubers claiming to have changed the shape of their face via something called “mewing”. It’s been dubbed – by The Coventry Telegraph, of all places – a “new health craze” taking over YouTube and Instagram. Adherents claim that the technique – essentially: flattening your tongue against the roof of your mouth – can aid breathing and alleviate mouth muscle pains, as well as helping to define your jawline and align your top and bottom rows of teeth. According to Dr Mew, you can improve these kinds of problems by keeping your tongue on the roof of your mouth, also known as having “proper tongue posture”. So that’s what Austin did – and according to him, it has changed his face. Watching his videos, there’s no doubt Austin has a square jaw. The thumbnail of his video “Why mewing is important to all! !” shows a “before” and “after”, though it’s hard to tell whether his face changed because of the technique, or just because he got older. A lot of Austin’s videos – and a lot of the videos in the genre – centre around the basics of how to mew. Austin even offers people mewing coaching sessions via Skype. To understand how we got to a place where YouTubers are giving orthodontic advice, it’s best to start with Dr Mew himself, who you could call the original “mewing” YouTuber. His channel, Orthotropics, has been up since 2012 and hosts hundreds of videos about it. Mewing hasn’t come without criticism. First off, those who really picked it up and ran with it were members of the incel “looksmaxing” subculture – as per a 2018 VICE article: “The practice of trying to enhance one’s appearance via methods ranging from buying nicer clothes to gym training to radical facial reconstruction through surgery” – desperate to get a square jaw. Dr Mew says he has no knowledge of this community and wouldn’t comment on it. Austin says he has noticed some of his views come from that part of the internet. “I understand there’s a lot of bad rep with it, but mewing is for everyone – that’s what I always say,” he tells me. The next stage in the YouTube trend is inevitably that in which everyone starts making videos criticising said trend.